I thought it would be nice to start an Osiria Rose Photo Gallery. If you love growing perennials, it may be worth trying to find this Osiria rose, in spite of its reported growing problems. Osiria Rose is a hybrid tea rose that was first hybridized in Germany by Mr. Reimer Kordes of Germany in 1978. The rose was introduced in France by Willemse France under the name ‘Osiria’. Photos of the rose that have made their way around the internet are highly photo shopped. Several of my readers have grown the rose successfully, though and have shared them with me. 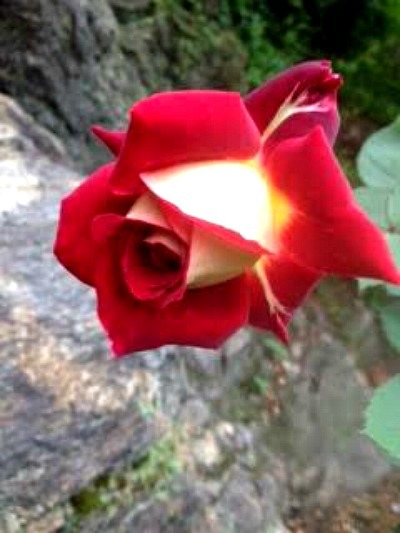 I will add to the Osiria Rose photos gallery gradually as more and more readers share their photos. This way, we can have photos of the actual rose at it grows, instead of the photo shopped image which we would never see in our gardens. 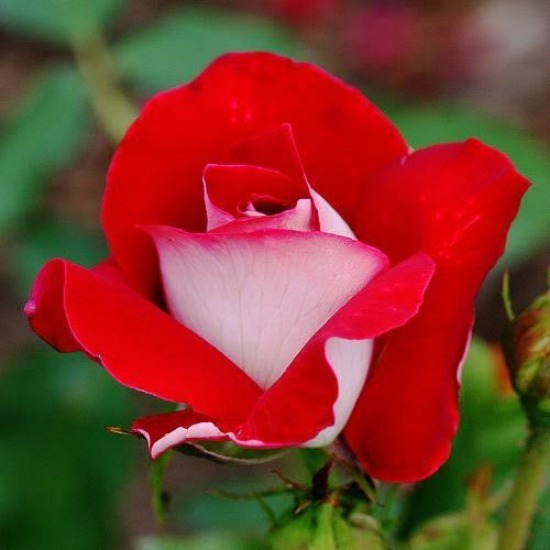 Osiria rose has a strong fragrance and blooms throughout the growing season. It is hardy to zones 7b and warmer. The rose is hard to grow and even harder to find. It is a weak variety that is prone to all sorts of problems. The rose is a beauty, though, and worth the care required to grow it. 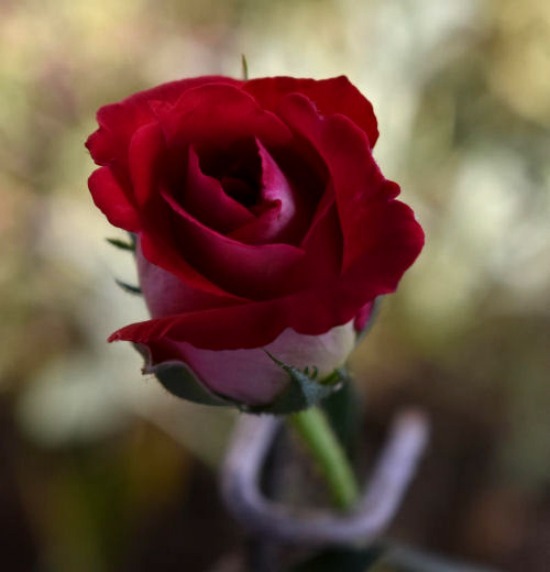 The roses in this Osiria Rose Photo Gallery don’t look much like the photo shopped rose. The first reader who shared images of an Osiria rose that he grew is Carl H. Carl had decent luck growing the rose but was a bit disappointed at first. This image shows the rose as a bud. It looks pretty much like a red rose, except for the light colored bases to the petals. This image shows the rose as it started growing. The color white is very very faint here. And this photo shows Carl’s rose after more time growing. The whitish color is becoming more prominent. Another reader, Tom, shared this photo of his Osiria. The rose does definitely have the two colors showing prominently. 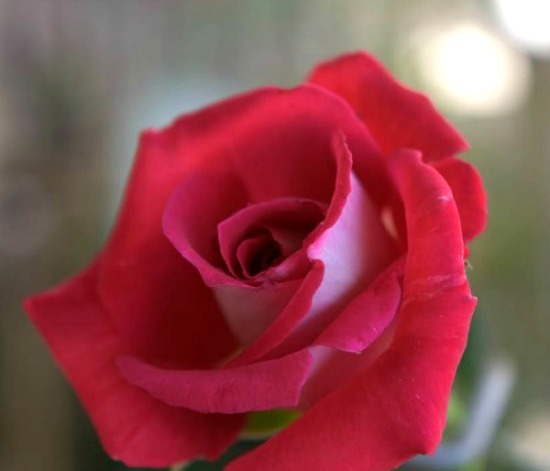 This photo for the Osiria Rose Photo Gallery has been sent in by reader Pam. Pam’s photo seems to resemble the photo shopped rose in the center but the edges still look very much a solid color. 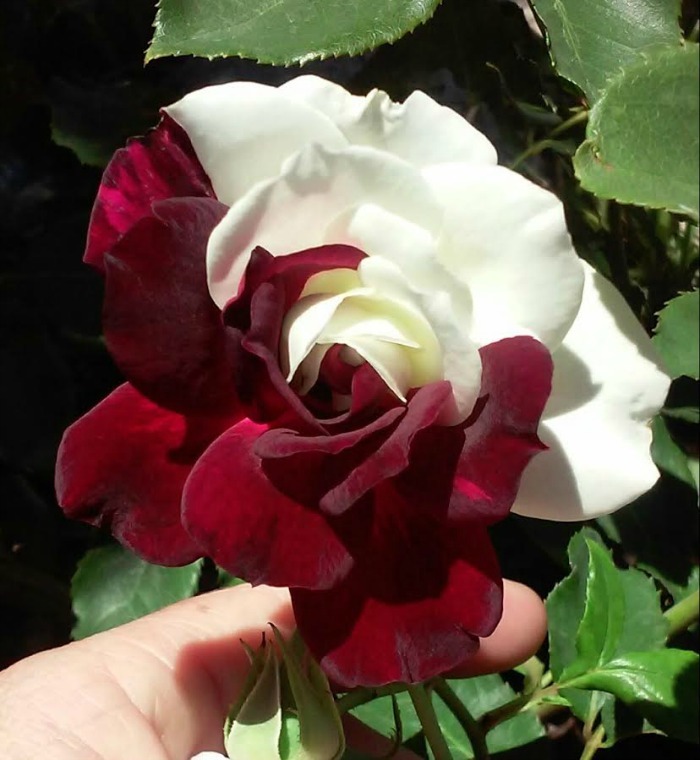 Tammy shared a photo of a double sided Osiria rose. 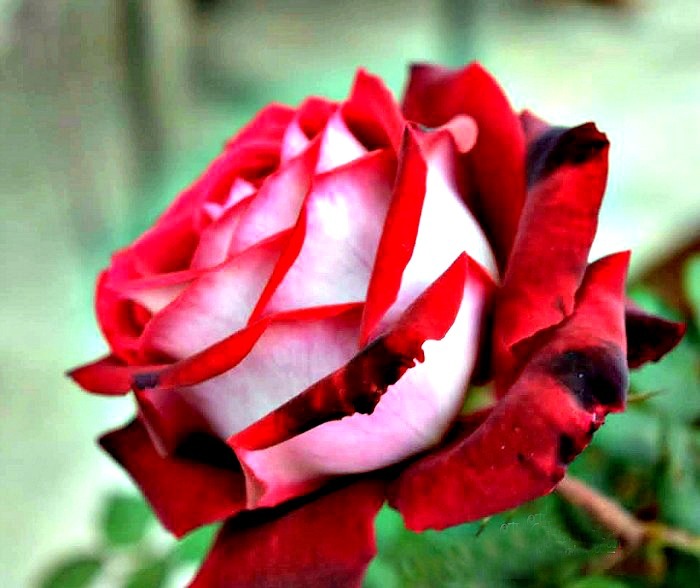 Instead of the inner petals showing the white color, one whole half of the rose is white and the other is red. Tammy described this as an Osiria rose but but did not let me know where she purchase it. The two sided look is not common to Osiria, so it may actually be another variety. Reader Dora has given us this information about the double sided rose in the comments below: The half white half red rose is either a discoloration of a red rose due to temperature and other unknown factors or what I’ve read suggests it’s either a genetic mutation or a chimera (=both white and red genes being equally dominant) That’s how new species start. It is definitely not an Osiria. 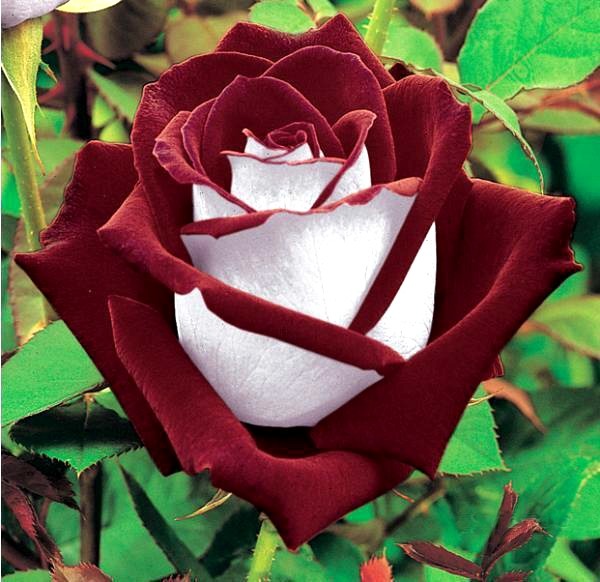 Do you have an Osiria rose that you have grown successfully? Please submit an image in the comments below or email me a photo. I would love to add it to the Osiria Rose Photo Gallery. Rose colors all have a different emotion attached to them. To give the perfect bouquet, check out this post to see what the colors of roses mean. I have sent you a pic of mt rose but I am not sure of the name of it, I hope you can identify I have have had it for a few years and it survived a chilli thrip attack & the hurricane Harvey. P..s. Any idea what are these luminous darlings called ? Can you buy these two tone roses if so let me know where and how much. HI Betty. I don’t sell any plants and have not had luck finding them for sale in the USA.